Lease Corporation International (LCI), the aviation division of the Libra Group, announces it is expanding its partnership with CHC through the placement of a second Airbus Helicopters H175 aircraft with the operator. The helicopter is due to enter service in December 2018 and will be supporting CHC’s operations in the UK. Appareo announces plans to expand the AML-STC for the company’s Stratus ADS-B “out” transponders to include Part 27 helicopters. The company will exhibit its ADS-B products at the annual HAI HELI-EXPO convention in Las Vegas, NV. Straube's Aircraft Services announces the grand opening of its new completions center at Falcon Field Airport [KFFC] in Peachtree City, GA. The facility at Falcon Field will offer aircraft painting and will specialize in interior, maintenance, repair and avionics capabilities by local service providers in the near future. StandardAero is the recipient of two awards at the prestigious Rolls-Royce FIRST Network Recognition Reception, an annual event held as part of Rolls-Royce's attendance at the 2018 HAI Heli-Expo in Las Vegas. 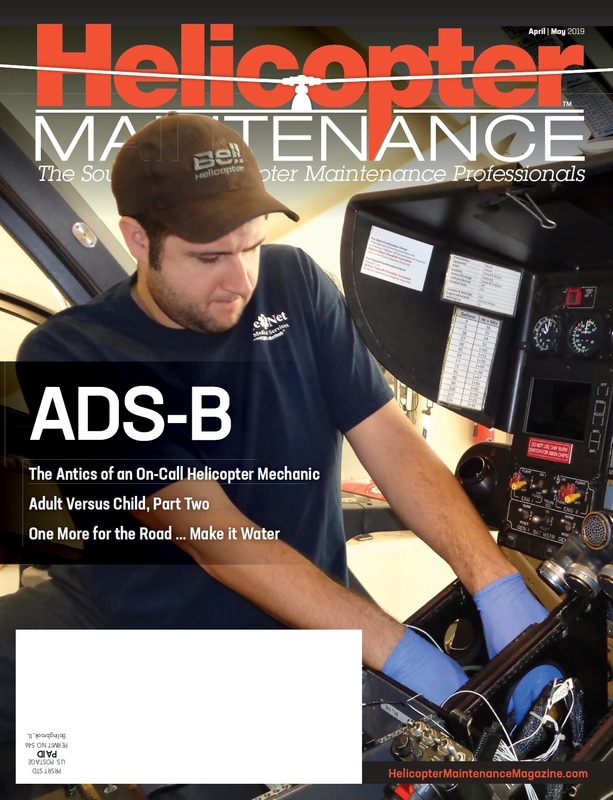 The awards program recognizes significant achievements of authorized maintenance service centers that provide maintenance, repair and overhaul (MRO) services for M250 helicopter engines operated by thousands of customers worldwide. Dakota Air Parts Intl., Inc., a specialist in the buying, selling and support of a variety of rotor-wing and fixed-wing aircraft, turbine engines and parts, announces it is displaying a new-to-market composite tail rotor blade for the Bell 206A and 206B helicopters during Heli-Expo 2018​, Feb. 27-March 1 in Las Vegas, NV. Dakota Air Parts is exhibiting at Booth #N3025. Robinson Helicopter’s R66 cargo hook installation is making its debut at this year’s Heli-Expo, Feb. 27-March 1 in Las Vegas, NV. The optional cargo hook carries external loads up to 1200 pounds and, for external load operations, increases the R66’s maximum gross weight from 2700 pounds to 2900 pounds. Elbit Systems Ltd. (NASDAQ: ESLT and TASE: ESLT) (“Elbit Systems” or “the Company”) plans to showcase its Enhanced Flight Vision System (EFVS) Heli-ClearVision suite at the upcoming Helicopter Association International HELI-EXPO 2018 exhibition, taking place at the Las Vegas Convention Center on Feb. 27-March 1. Flightdocs, a provider of cloud-based aircraft maintenance tracking, compliance and inventory management services, announces that Lee Brewster has joined the company as director of Customer Solutions. TRAXXALL Technologies, providers of an innovative aircraft maintenance tracking and inventory management system, announces that Robert Brega has joined the TRAXXALL team as regional sales director, Northeast.